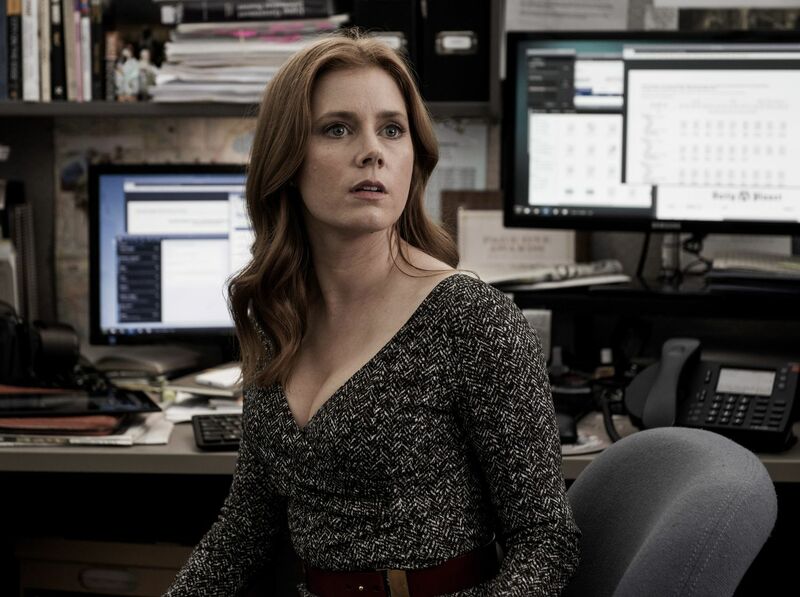 Amy Adams isn’t exactly sounding enthused about her return to the DC Cinematic Universe. After talking about how she wished she’d gotten more screen time as Lois Lane in Batman v Superman: Dawn of Justice, she seemingly shrugged off the fact that she’s already done filming her section of Justice League. “Yeah, yeah, yeah,” Adams replied, when asked if she was done filming Justice League. It’s no secret that Adams got the short end of the stick when it came to Dawn of Justice. In Man of Steel, Adams was the second lead, playing one of the most iconic female non-super characters in comic book history. She was essentially promised an even bigger role in the sequel, which Adams sort-of announced was being written. Instead, she got reduced to playing Superman’s damsel in distress in Dawn of Justice, with most of her subplot (where she tried to link a special bullet to Lex Luthor for some reason) being cut out. The scenes were mostly added back in in the Ultimate Cut, which Adams said she hasn’t cared to watch. Both DC and Marvel have a poor history when it comes to the heroes’ onscreen girlfriends. Natalie Portman’s Jane Foster, who appeared in the first two Thor films, hasn’t made an appearance in any of the other films and, for all intents and purposes, Portman said she’s “done” with the franchise. It’s not because she was upset at her portrayal, but because Marvel didn’t know what to do with her. They said because Thor: Ragnarok took place in space, Jane Foster wouldn’t fit. After all, since when have humans ever been in space in the MCU? The same thing happened to Gwyneth Paltrow’s Pepper Potts. Paltrow said multiple times she’d love to return as Pepper in Captain America: Civil War or other Marvel films, but the studio never brought her back. There are hopes she could return for Infinity War, but the likelihood is pretty dim. Still, Paltrow hasn’t given up hope that Marvel could revive her character. “My fingers are crossed. I’d love to be Pepper Potts again at some point in my life,” Paltrow said back in 2015. Given how often the girlfriend characters are literally or figuratively “fridged” in superhero franchises, it’s no surprise the Adams would be annoyed if she’s being given the shaft again. Plus, there are rumors Lois Lane might die in Justice League, motivating Superman to join the group. In that case, Adams’s “fridging” would be literal, instead of just putting her naked in a bathtub.